East Multnomah Cycling Hub, a bicycle tourism initiative formed by The Gresham Area Chamber of Commerce with grant money from Metro. The objective is to bring more dollars into East Multnomah County through biking. 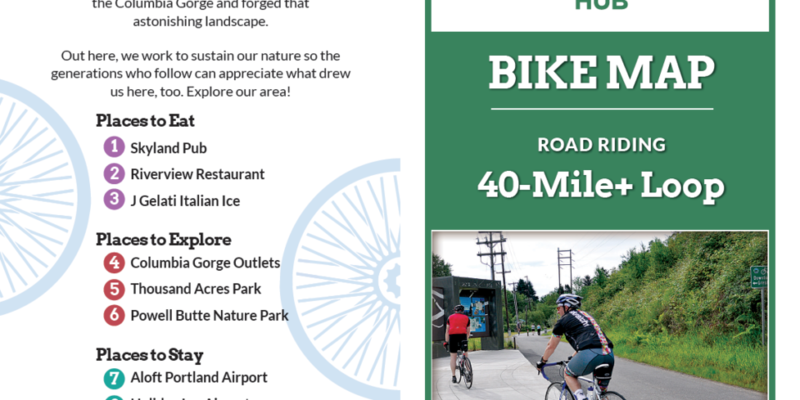 Included in the marketing plan is a series of bike maps and places to eat, stay and explore. The concept was designed and developed by Resolutions. 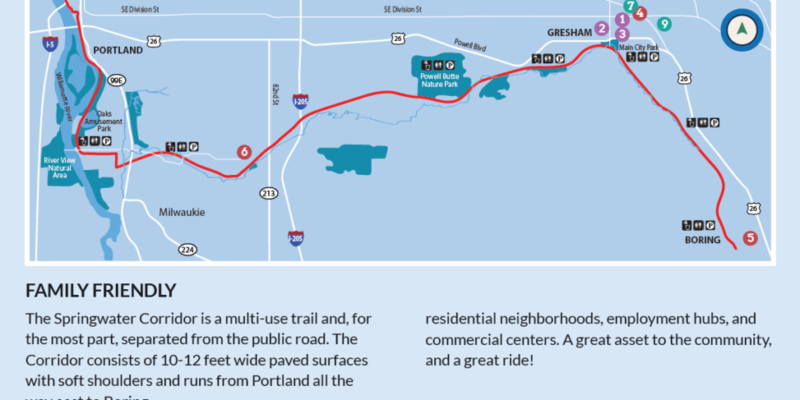 Printed maps are available year round at the Gresham Visitors Center.